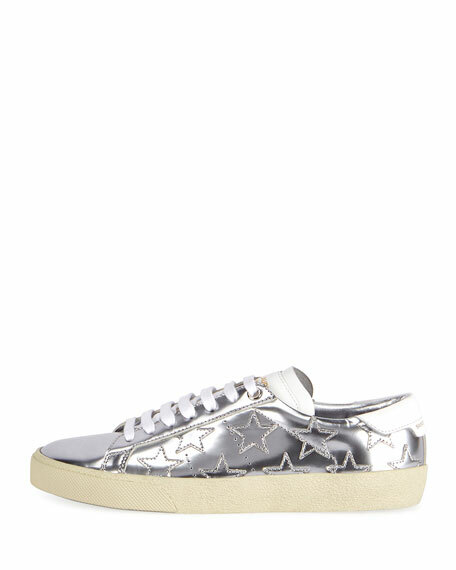 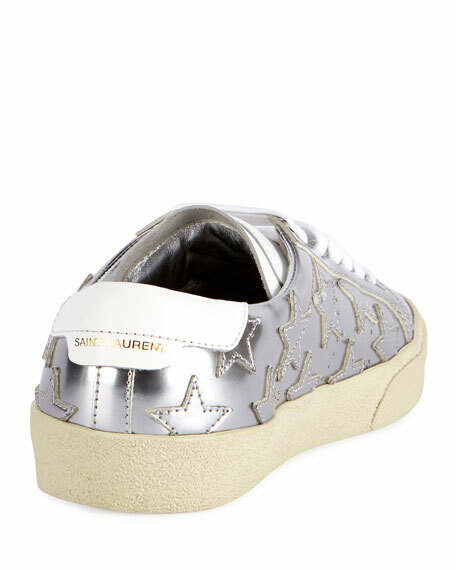 Saint Laurent metallic leather low-top sneaker with stitched star patches. 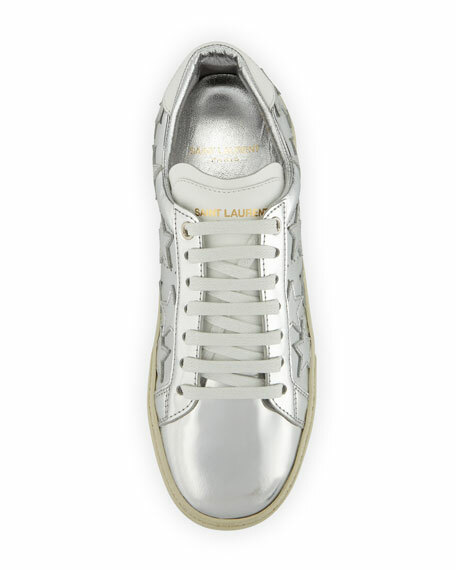 "Court Classic" is made in Spain. 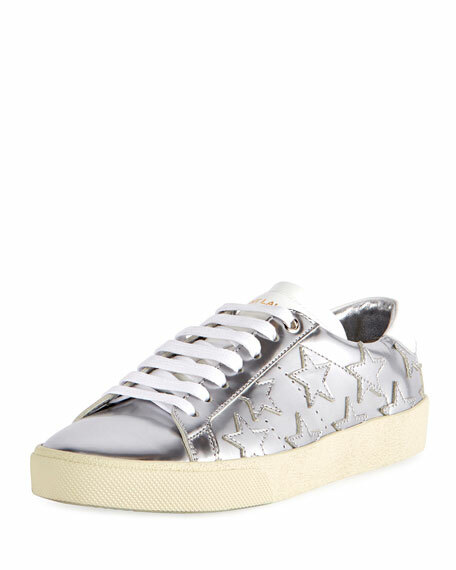 For in-store inquiries, use sku #2184451.